The BSA Meteor Evo is an air rifle with superb handling and accuracy characteristics, in a quintessential English style with full legal limit power at its heart. The Hardwood stock has checkering to the forestock and pistol grip to provide a great hold for the shooter, even in wet conditions. 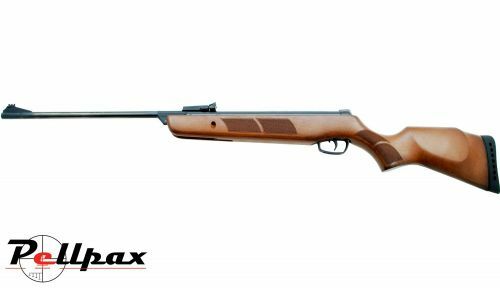 The full power action of the air rifle is completed with one of BSAs cold hammer forged barrels for great consistency and accuracy. The whole ensemble is then blued by BSAs expert team of gun smiths to a rich, deep rich standard.